Defendants must comply with many other rules and procedures in addition to those governing the timeframe for commencing their appeal. Briefs and accompanying documents must be submitted in the format required by that jurisdiction’s appellate court rules or the clerk will reject the papers. Every court has different formatting requirements for appellate papers. These formatting requirements can be extremely technical, and frequently address issues such as the length of a brief, the manner in which supporting authorities are cited, size of margins and typeface, and even the color of brief covers. There are also numerous rules governing the manner in which papers are filed with the appellate court and served on interested parties. Additionally, some courts allow papers to be filed in hard copy, whereas others require papers to be filed electronically. 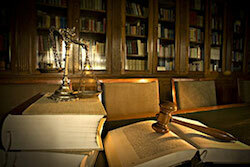 The same court may require both electronic and hard copy filing and service of all papers. Such details sound like meaningless hairsplitting to most people, but experienced appellate lawyers understand why full compliance with all such rules is absolutely crucial. As such, it is important to consult, review and understand all of these rules before preparing, filing and serving any papers. Failure to follow proper jury selection procedures. These and similar trial errors serve as the basis for the arguments included in the appellate brief. An experienced appellate attorney has the skills necessary to review the trial record, isolate errors, research the applicable law, and then draft arguments describing the negative impact that any particular error had on the result at trial. It is almost impossible to determine whether any particular error can be translated into appellate success without first thoroughly reviewing and analyzing the entire trial record, which includes the pre-trial and trial transcripts, trial exhibits, and any briefs that the parties filed with the trial court. Accordingly, when a defendant first consults with an appellate attorney, it will be very difficult for the attorney to address any potential trial errors with any degree of certainty, because the attorney will probably not have reviewed the record prior to that conversation. Appeals that are not grounded in a thorough analysis of the lower court record will have a diminished chance of success. James S. Friedman, LLC, represents criminal defendants in the State and Federal appeals court in New Jersey. If you are seeking to appeal a criminal conviction from the New Jersey Superior Court, or from the United States District Court in New Jersey, contact us online or call us toll free at 800-361-6554 to discuss your options.